In the way of transition of mobile phones, the most decorative innovation is the wallpapers. Not only it gives the home screen and lock screens a new look every day, but also it makes them dynamic. In earlier days, the google search of images only used to provide a range of wallpapers. You need to download them and then set them as your wallpaper. But sometimes the size and resolution was a misfit. Android apps are also not staying behind in providing you with a wallpaper of your choice. You can get grab any wallpaper for android but why not search some best wallpaper apps for android and rejuvenate your screens? We start first with Background HD which has appeared long back and remaining in the android market still. Its extensive database of wallpaper for Android gives you a full option along with some old wallpapers which are the premier of wallpaper arena but not so premium in quality. 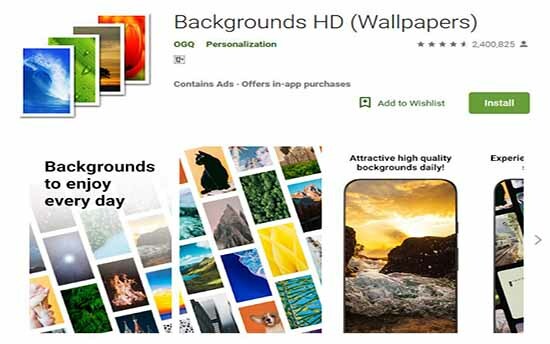 Besides, Background HD is increasing their collection daily giving the user to change their screens as and when required with updated android wallpaper. One additional feature which is worth mentioning is they allow the user to upload their picture to the app and there is an option that your wallpaper can be selected in their database. All these have made Background HD as one of the charming apps and termed as one of the Best wallpaper apps For Android. 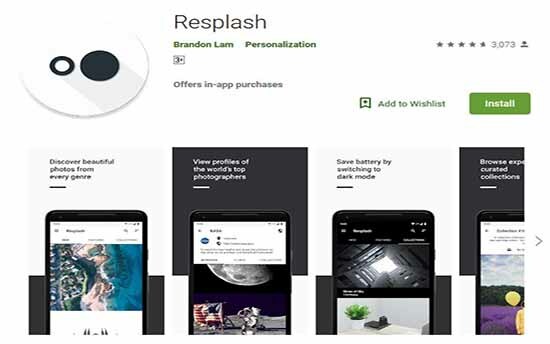 Resplash is a new app providing its user Wallpapers For Android, and it has gained enormous popularity within a short time. The app is loaded with best photographs from worlds best professional photographers gives you the privilege to get their photos for free. The app gas a simple user interface of black and white theme and you can set the wallpaper directly from the app. Like other apps, you can choose one random wallpaper at a specified interval updated automatically. The best function of this app which makes in the list of best wallpaper app for android is, you can download raw images from the app. You can use these images for further experiments with other photo editing app and make a unique feeling. Precisely this is another excellent app in the jungle of android wallpaper, and you can take credit of them for free. When most of the wallpaper app provides a category of the wallpaper in their collection, Tapet gives you the option to choose by design and colour of the wallpaper. 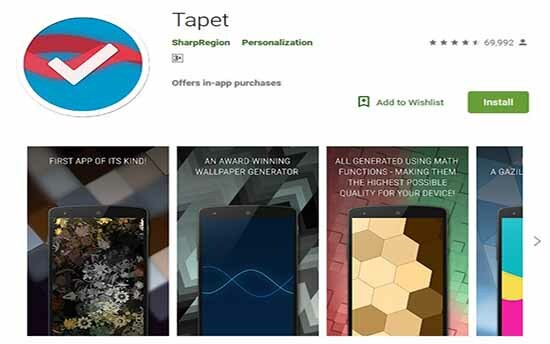 Tapet is another best wallpaper app for Android which comes with the wallpaper generated with math functions through your chosen pattern and colour. Also, each model creates a variety of unique wallpapers based on your choice. You can avail this wide range of customisation in the free version of the app. However, if you are ready to pay for the app, then you get additional features. The best part of the app is that these wallpapers are not a collection of wallpapers from the web. These wallpapers are generated exclusively in your device for you only. Therefore isn’t it the best wallpaper app for android? Walli is not just a collection of wallpaper of traditional genre. You can find some most creative wallpapers generated and distributed through their app. The paid version costs minor compared to another big wallpaper app. With their new feature introduced recently, the app takes the total charge of your wallpaper section and amaze you with their random changing wallpapers. You need not to worry about the quality as these wallpapers are HD wallpaper for android. All these features have gained full recognition from Google and made it the most popular wallpaper app for android of this time. Another striking function that is available with the app is to show your creativity and create some wallpaper of their category. One can get paid through this and also gain recognition. In totality, Walli is a big contestant in the race of best wallpaper app for android. 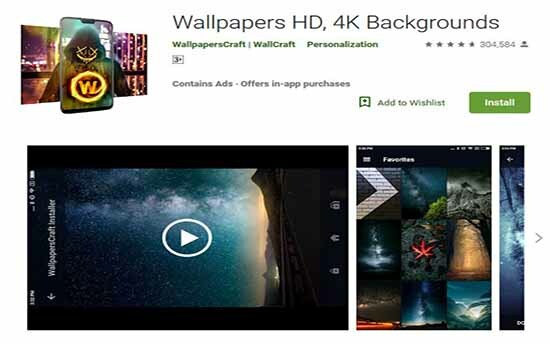 When you are in search of a 4k wallpaper for mobile, then you must pay a visit to Wallpapers HD, 4K Backgrounds. The images found in this app if HQ, full HD 1080p and ultra HD 4k suitable to the screen size of your mobile. As claimed by the developers you can get one new wallpaper every hour. As the app display is similar to the size of your screen, the usage of your internet traffic and also the usage of battery is optimised. The trending feature of the app provides you with the current trendy wallpaper and keeps you updated. 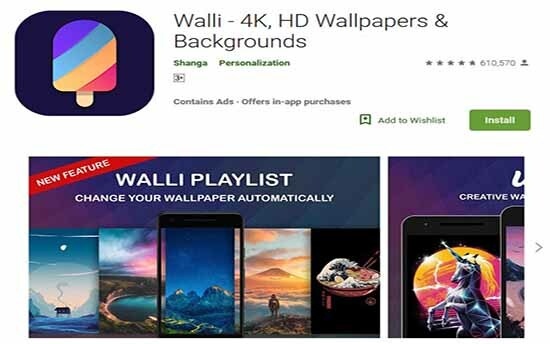 Therefore enhance your experience with HD wallpaper for android through the app, and it will fulfil all your demand and transform your device into an updated look. When you are in search of 4k wallpaper for mobile another app which is a must try is Best Wallpaper QHD. 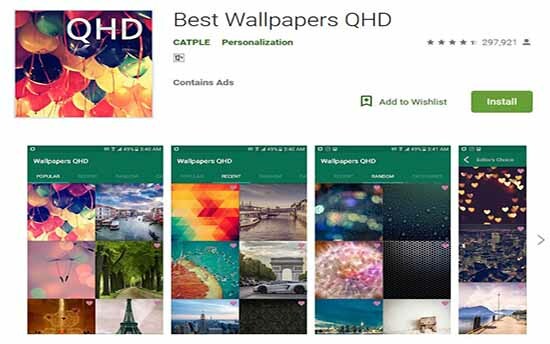 With their large number of QHD series wallpaper stock this android app has gained a place as best wallpaper app for android. So if you are not bothered about other quality and huge number and has a taste of high-quality wallpaper only, Best Wallpaper QHD is your choice. If there is any wallpaper app which is open source and allows to integrate other wallpaper apps that will be on high demand to the android developers. 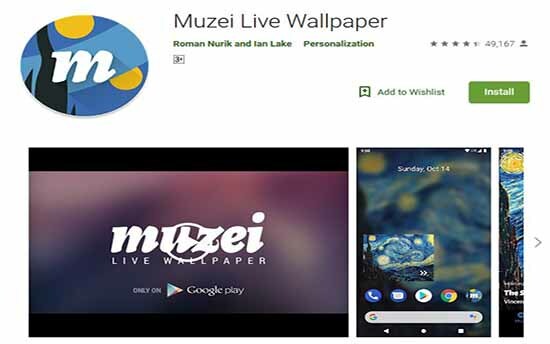 Muzei Live Wallpaper is one such app which testifies with all the above statement. Apart from all other features which you aim in other Android wallpaper apps, this app has a watch face for your Android gear which allows you to see your currently loaded wallpaper in tour phone through your gear. When it comes to personalisation of your phone home screen and lock screen, it is an individual choice. Your wallpaper is the best reflection of your mood. Therefore it is highly recommendable to keep a few of the apps from the above list of best wallpaper app for android and stay allured. If you find the article helpful make comments in the comment box.